Join us for a very special Palabra Pura with Dr. Grisel Y. Acosta and Vincent Toro–two amazing Latinx poets in from NYC!–as we talk about memory, language and the way mythology moves through the modern experience. Dr. Grisel Y. Acosta will read selections from her memoir, Chica!Go! : An Afro-Latina Punk Odyssey; and First Spanish: Essays that Re-Imagine Logan Square, which focuses on the Latinx people of Logan Square during the 1970s-1990s and re-imagines the space to properly reflect their contributions. As the first person in her family to be born in Chicago, Dr. Acosta’s work is deeply rooted in the city, yet her Cuban and Colombian heritage greatly flavor her poetry and prose. Much of her work–which is influenced by Chicago house music, the 1980s punk movement, and science fiction–straddles the lines that separate song lyrics, poetry, memoir, creative non-fiction, fiction, and sci-fi. Her work is a hybrid that is truly Chicago. Vincent Toro will be performing work from his award-winning poetry collection, STEREO.ISLAND.MOSAIC. The book employs methods adopted from music and visual arts to re-examine and re-create Caribbean Latinx history and mythology. Central to the work is Cuban scholar Antonio Benitez-Rojo’s concept of The Repeating Island, the notion that for Caribbean people time is circular and multi-directional. because Pint has its Comedy Open Mic beginning at 10:00 PM! Dr. Grisel Y. Acosta is an associate professor in the English Department of Bronx Community College-CUNY. She received her Ph.D. in English—Latinx literature, from the University of Texas at San Antonio and has presented and published her creative and scholarly work in London, England; Cartagena, Colombia; Catalonia, Spain; and throughout the United States. 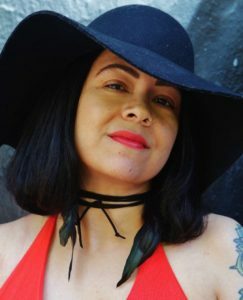 Her creative work is in In Full Color: A Collection of Stories by Women of Color, Love You Madly: Poems About Jazz, Nineteen Sixty Nine: An Ethnic Studies Journal, Voices de la Luna, MiPoesias, Pembroke Magazine, Private International Photo Review, ¡Tex! Magazine, the NAACP Image Award nominated Check the Rhyme, Chicago’s After Hours Journal, The Reproductive Freedom Anthology, and work forthcoming in Basta! : 100 Latinas Write on Violence Against Women, The Lauryn Hill Reader, Paterson Literary Review, American Studies Journal, and the Chicana/Latina Studies Journal. Her scholarly articles and essays can be found in The Routledge Companion to Latino/a Literature, African American Women’s Language, The Handbook of Latinos and Education, Western American Literature, Diálogo, Salon, English Kills Review, The Kenyon Review, and VIDA: Women in Literary Arts. She has received fellowships/grants from The Aspen Institute, Creative Capital, Kweli Journal, and CUNY, and was awarded UTSA Volunteer of the Year, and most recently BCC’s Latinx Faculty of the Year. 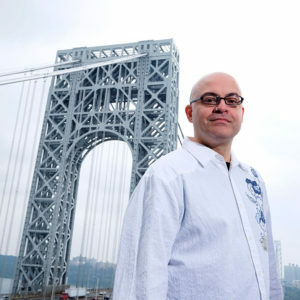 Vincent Toro is the author or STEREO.ISLAND.MOSAIC., which was awarded Ahsahta Press’s Sawtooth Poetry Prize and The Poetry Society of America’s Norma Farber First Book Award. He has an MFA in poetry from Rutgers and is contributing editor for Kweli Literary Journal. He is recipient of a Poet’s House Emerging Poets Fellowship, a New York Foundation for the Arts Fellowship in Poetry, The Caribbean Writer’s Cecile De Jongh Poetry Prize, and the Metlife Nuestras Voces Playwriting Award. Vincent’s poems have been published in The Buenos Aires Review, Codex, Rattle, The Cortland Review,Vinyl, The Hawai’I Review, Washington Square Review, and Best American Experimental Writing 2015. Vincent teaches at Bronx Community College, is writing liaison at The Cooper Union’s Saturday Program, and is a poet in the schools for The Dreamyard Project and the Dodge Poetry Foundation.